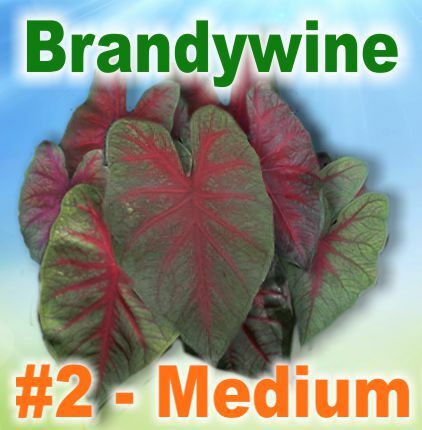 Brandywine, a regal name for a caladium that can be resplendent in appearance with rich deep red hues. Leaves can display as almost solid red or they can display just a single striking red center vein overlaid on dark, moss green colored leaves. To really appreciate and showcase Brandywine's dark color scheme, he is best planted in front of lighter color backdrops. His tendency to go to the dark side is not a bad trait, just one that needs to be understood when deciding where to plant. When Brandywine displays his full grandeur of red, you understand why it is a power color. We do not suggest applying fertilizer on this variety of caladium. Like the idea of making a grand statement with red? Try Red Flash. Large and in charge defines this variety of caladium. 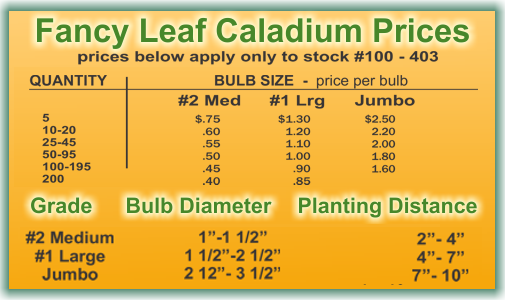 Should you want something entirely different please feel free to peruse our Availability Page to see a small glimpse of every variety of caladium that we sell. Similar varieties can be accessed from the links below.